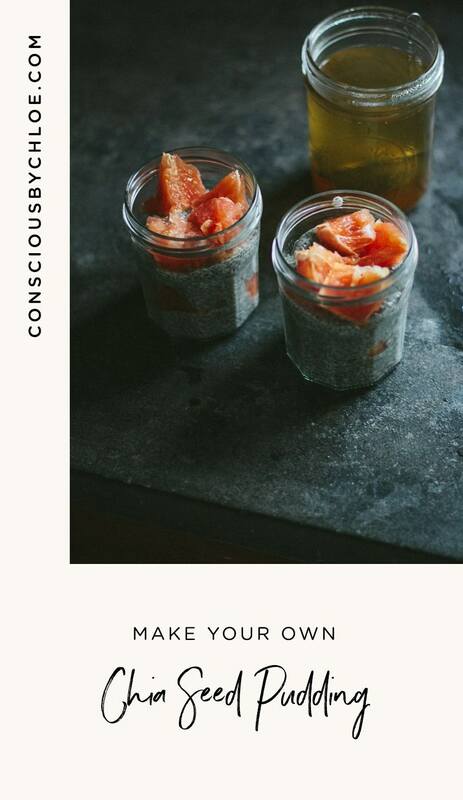 While living in Switzerland and looking for a better alternative to my usual milk and cereal breakfast, I came across a chia pudding recipe. As chia seeds were pretty hard to find and/or pretty expensive there, I did try it a few times, and then forgot about it. And, I have to admit, I was pretty busy and lazy and would often just forget to prepare it the night before. Now that I live in the US, with more (bulk) options and a lower price range, and now that I work from home, I try to prepare this breakfast treat more often and have it with my morning cup of tea while slowly getting ready to start my day. Mix the milk, seeds and sweetener (maple syrup or coconut sugar) in a bowl. Let the preparation sit overnight in the fridge. 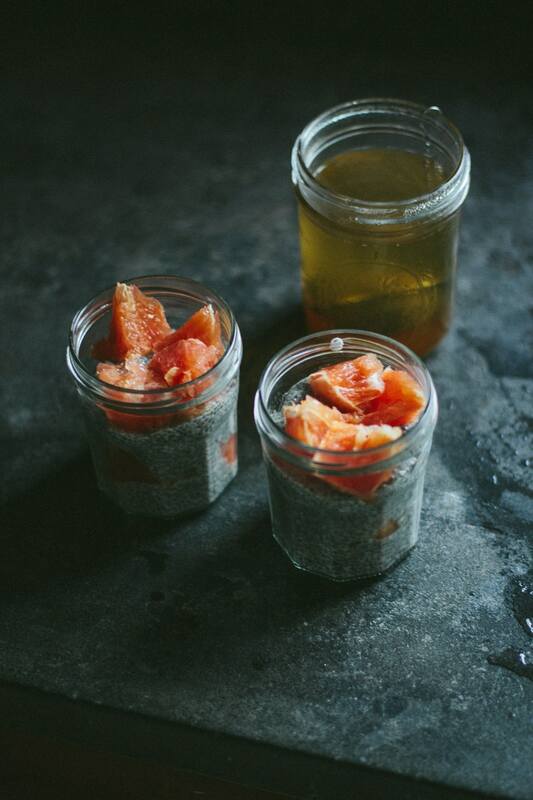 Stir before serving into small bowls or Bonne Maman jam glass jars as pictured. My favorites are bananas and strawberries. 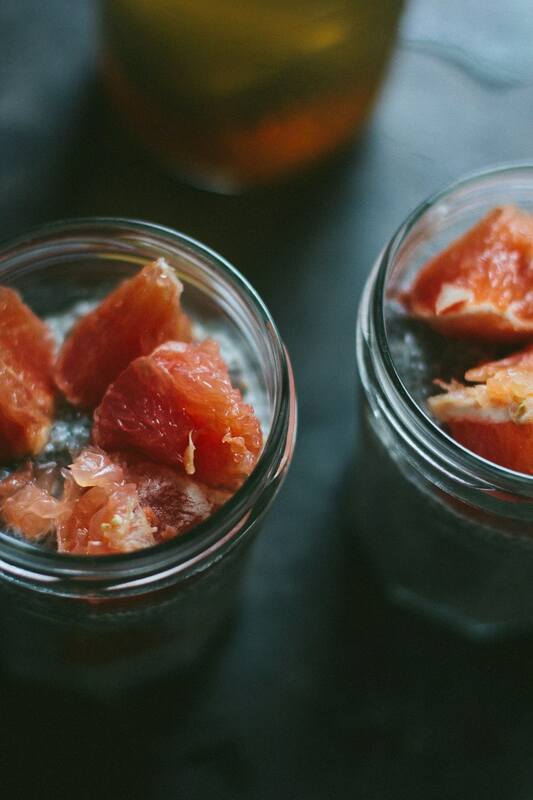 This time, grapefruit was a first. It turned out delicious! Leftovers will keep in the fridge for 3-5 days. 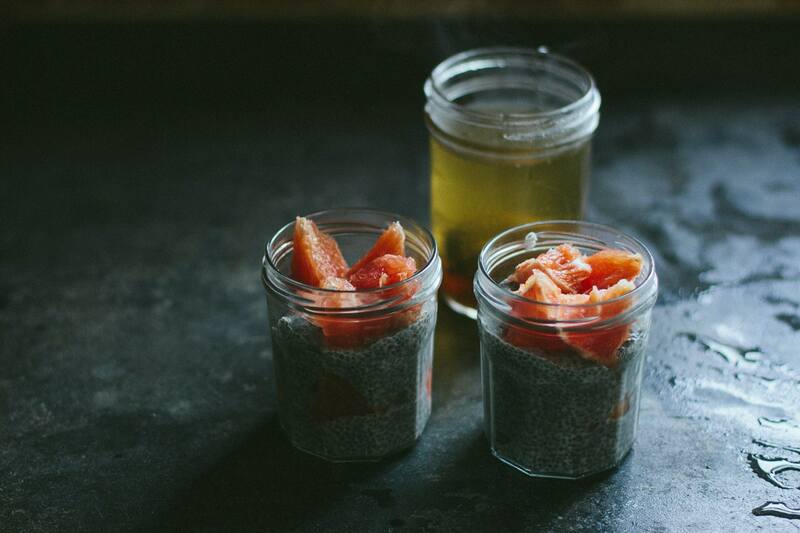 Have you ever had chia pudding for breakfast? What are your favorite add-ons?